The members of British improv comedy superstars Racing Minds and Adventures of the Improvised Sherlock Holmes are bringing a mad mash of improv games to FRINGE WORLD in 2019. Aaaand Now For More Kiddo Kaos! is complete with all different kinds of crazy twists and driven by suggestions from the young ‘uns. With the help of their junior conspirators, these dashing adventurers will create a show that is just as entertaining for adults at Subiaco Arts Centre on January 31, and from February 1-2 at 2:30pm and The Woodside Pleasure Garden on February 9-10 at 1:45pm. Two of the shows at Subiaco Arts Centre (January 31 and February 1) will be AUSLAN interpreted for the hearing impaired. The Runner up for Best Children’s Event at FRINGE WORLD 2016, this summer’s show promises even more with new cast members Vicki Hawley, Caitlin Campbell and Tom GK, joining Racing Minds members Tom Skelton and Daniel Nils Roberts. Stuffed with hilarious characters and lots of daft jokes, this mischievous show is whatever the kids want it to be. Expect improvised mayhem, physical comedy, music and merriment for ages 7 – 12, and adults too! 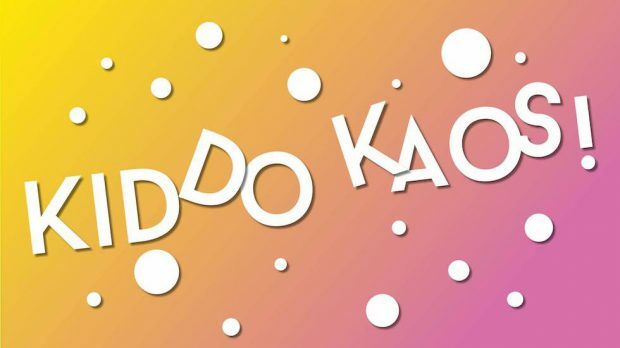 Aaaand Now For More Kiddo Kaos goes down at Subiaco Arts Centre on January 31 and February 1-2 at 2:30pm and The Woodside Pleasure Garden from February 9-10 at 1:45pm. Get more info and tickets here.